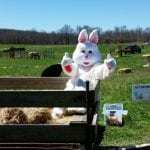 (WOODSTOCK, MARYLAND) – April 2019 – Strohmer’s Farm is home to a variety of animals, including cows, pigs, goats, donkeys, chickens, ducks, a token emu, barn cats and a number of dogs. But, Strohmer’s Farm didn’t start out that way. In 1931, George L. Strohmer, the grandfather of the current owners Bud, Dee, Richard and Brenda, purchased the farm. Along with his wife and five-year-old son, George Joseph, he hauled his equipment, animals and personal items over 30 miles to settle in what would become a family home for three generations. The farm’s initial offering included fresh milk, cheese, butter and eggs. At some point, the decision was made to add other livestock to the farm, focusing on meat production, such as cattle, pigs and goats, which has been a mainstay of the farm ever since. 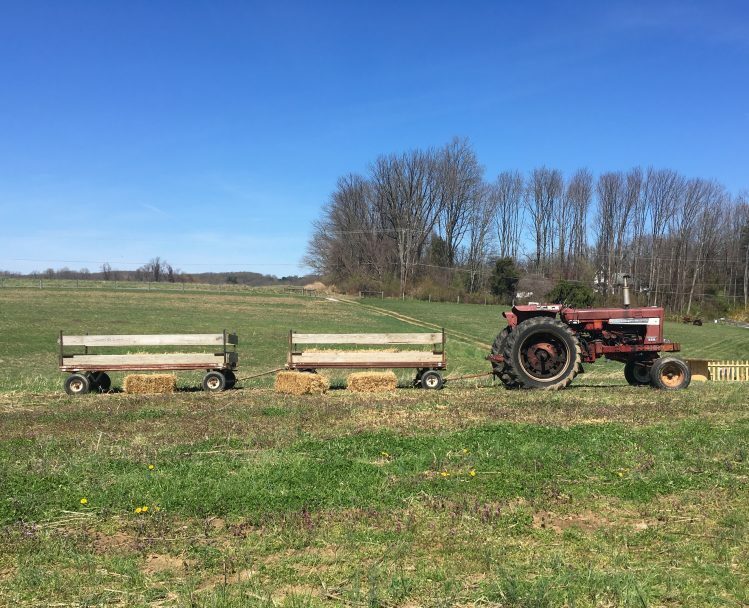 The family has been adding fun and innovative educational experiences to teach the community about agriculture, part of the “agritourism” trend in agriculture today. Agritourism is where farming and tourism combine to provide amazing educational experiences, whether it be a farm tour, an event, like an Easter egg hunt, or a class, like goat yoga. Farmers turn their land into a destination in order to teach more about what they do. Maryland has more than 12,000 farms, and you can search for farms that welcome agritourists here. With each season comes an opportunity to visit Strohmer’s farm. 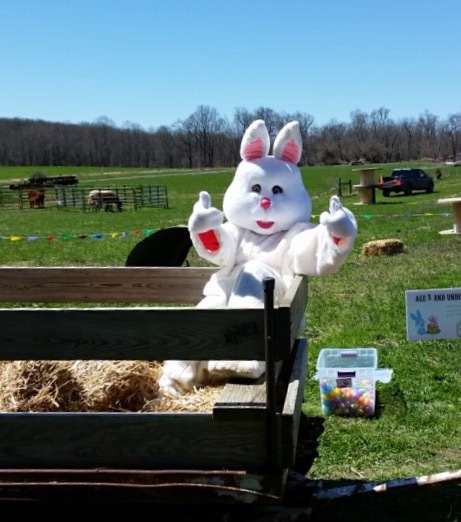 “Agritourism events, like our annual Easter egg hunt, allow for folks to interact with our animals as well as to promote our antibiotic- and hormone-free meats,” says Brenda. This event is only the beginning. Brenda says that they will be expanding to include other activities that focus on agritourism to help the community better understand agriculture and how important it is for the state of Maryland. Brenda is planning new programs that provide a closer interaction with the animals, including the nutritional value of meat grown on the farm, and education regarding the benefits of shopping local. “It’s more important than ever for people to know where their food comes from, and what’s in it,” she adds. And, she’s also introducing a “Farm Fit” program, which centers around a farm life regime tied to chores and harvest. It would also be aimed to help participants understand the health benefits of meat that is naturally raised. And, of course, it would include the ever-growing and popular goat yoga.